The anniversary exhibition Van Gogh at work shows how in ten years’ time Van Gogh developed into a unique artist with an impressive oeuvre. Over 200 works of art provide insight into Van Gogh’s way of working, including paintings, works on paper, letters and personal effects of the painter, such as his original sketchbooks, paint tubes and only surviving palette, from the Musée d’Orsay in Paris. Besides our own extensive collection, you will see top works from collections worldwide. 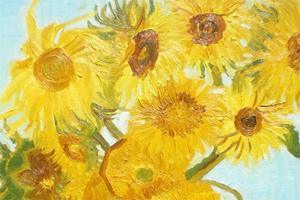 Works which are rarely seen next to each other are brought together in this exhibition, such as two versions of Sunflowers (May-August) and The bedroom (September-January). 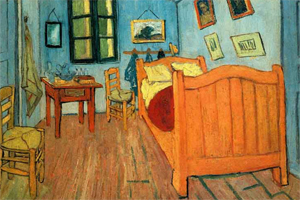 A rich assortment of works by Van Gogh’s contemporaries will also be on show. Pieces from the museum collection will hang side by side with unique works on loan by Monet, Gauguin, Seurat and Bernard that Van Gogh himself once saw.